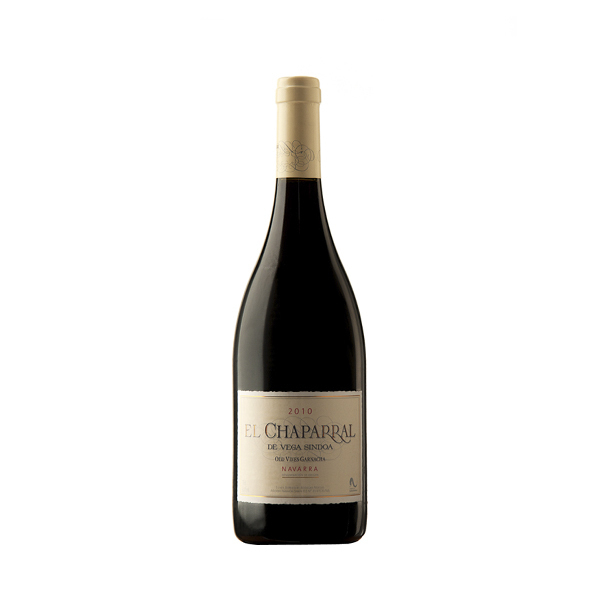 El Chaparral is the product of Garnacha grapes originating from vines aged over 70 years old that grow in a valley caught between Mediterranean and Cantabrian climates; the resultant wine is carefully matured in barrels for several months. The predominant aromas of this wine are lactic, vanilla and vinous acquired from the wood; all well-concentrated and tightly-held within the glass until gradually gentle menthol notes are released, along with balsamic and spicy wafts. Fresh-textured, Atlantic-influenced and spiced with fine-grained oak wood, El Chaparral boasts many great attributes. Chaparral, clearly marked as a signature Garnacha!